1. What is your Dream? 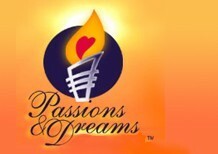 By clicking and or submitting this form to Passions & Dreams Funding, Inc you acknowledge that Passions & Dreams Funding, Inc reserves the right to decline your wish. *Validity: Your wish must be legally/emotionally/physically/mentally/socially possible to be considered. P&DF will help show you how to fulfill your dream. of the IRS Exemption Letter and updated Tax Exemption Forms. "Life is a precious gift. Every human being on earth has a purpose, a passionate dream to succeed in life-to often, those dreams become stifled from a lack of opportunity for expression or resources. In reality, there is an abundance of resources for all, and we who have enjoyed the successes of our lives can make a difference in someone else's life through donating. I invite you to become one of our "genies" and help jump-start the life of woman or child at risk." Legal Notice: Passions & Dreams Funding assumes no medical or legal liability for the information printed on this website.